The precise estimates vary, but there have been about 200 shootings in our country's schools and universities since 20 elementary school students were killed in Newtown, Connecticut in December 2012. 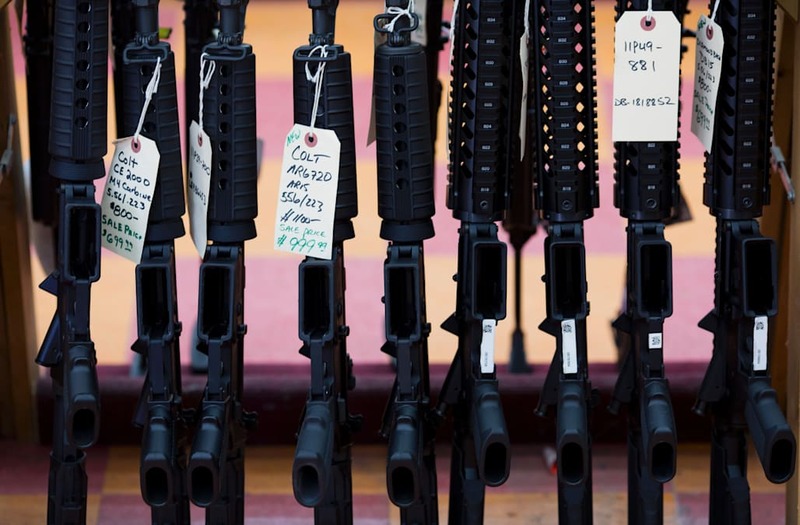 A new study examining all known school shootings in the three years after Sandy Hook suggests they occur most often in states without background checks for gun purchasers and that spend relatively little on education and mental health. School shootings are a particularly American phenomenon — as the researchers behind the study note, there were 44 such shootings between 1966 and 2008, compared with just seven in all of Europe. And that number has skyrocketed in the last two decades, with the particularly deadly shootings at Columbine, Virginia Tech, and Newtown punctuating the general increase. But while school shootings have dominated political debates around gun control policies — and, primarily in pro-gun circles, around a need for improved mental health care — there's been limited research on what factors actually increase the likelihood of school shootings. In their paper, epidemiologists broke down 154 school shootings from 2013 to 2015 by state (so their tally does not include shootings that have occurred this year). They define school shooting as any incident where a gun is discharged on school grounds and collected their data from media reports, so it may not be completely comprehensive. Shootings were most common in southern states, particularly Georgia, Florida, Texas, North Carolina and Tennessee. Of those states, only North Carolina had any background check laws, requiring a check only for handgun purchases. Of the states that had zero or one school shootings, six of them — Hawaii, Illinois, Massachusetts, New Jersey, New York, and Rhode Island — have background check laws for both firearm and ammunition purchases. Of course, there are limits to how much can be extrapolated from this. While 154 school shootings in three years is horrifyingly high in human terms, that's still a small sample from a statistical perspective. One of the states that saw no shootings from 2013 to 2015 — and so could be held up as an example of a place where shooting risk is low — is Connecticut, where Sandy Hook happened. For the researchers, who published in the journal Injury Prevention, this is more about looking at the broad similarities and trends. The researchers found that there was a statistically significant link between lower risk of school shooting and states with background check laws and higher spending on K-12 education. There were also somewhat weaker links for states that spent more on mental health and where a relatively high percentage of the population lived in urban areas. It makes sense that gun control laws might have some effect on lowering the risk of shootings. The researchers suggest higher public education spending levels can create more nurturing, productive environments for kids, which might make disaffected youth less likely to shoot their fellow students, at least on the margins. The fact that states with big cities see fewer school shootings is a little surprising, given that most shootings do occur in large metro areas. It's possible that there are two distinct phenomena at work here. Urban communities do, on average, expose children to more firearm violence. But states where a large percentage of their population live in cities — like New York or California — tend to be relatively affluent, and may invest more in social programs that can offset some of those risks. Also, gun availability is actually more widespread in rural areas, as is a more proudly pro-gun culture, both of which could make school shootings relatively more likely, the researchers note. A lot of the rest of the data is unsurprising, particularly that at least 97 percent of school shooters were male. The majority of shootings occurred in a K-12 school, although 45 percent happened at colleges. The age of the shooter was unreported in about half of all cases, but a small majority were 20 years or older. That just leaves the question of mental health spending. The researchers are particularly cautious on this point, noting they couldn't make any connection between such spending and the unknown mental health status of any of the shooters. While this finding might seem to support the point that mental health spending is the real way forward to deal with school shootings, this may also just indicate that states that prioritize such spending are also likely to put money in other social programs — including, yes, background checks — that have a more direct impact on lowering the risk of school shootings. This study clearly isn't the end-all on this topics. What is clear is more research on gun violence is needed, which is exactly what has been lacking for decades. The post School Shootings Are More Frequent In States With Lax Gun Laws appeared first on Vocativ.